This programme will accept late applications. Please submit your portfolio as soon as possible. Do you want to use design to make a difference in the world? Then this is the right degree for you. The programme combines design creativity with knowledge of sustainability for a profession at the cutting edge of design. The most important challenge today and in the future concerns sustainability – to create a world that is good for both people and the environment, locally and globally. During your three years on this design degree, you will work closely with our teaching team to develop your own design specialism. It is up to you whether you make a difference through designing physical objects, processes, experiences or systems. The programme is delivered through a series of projects, and you will work independently as well as engage in group work, and in collaborations with the local and regional community and enterprises. The Design + Change programme is delivered in English and we welcome students from all over the world. This means that you as a student are part of a group characterised by diversity and are well prepared for an international design career. Design + Change is located in Växjö, Småland – a region characterised by entrepreneurship, production and craft. Collaborative projects and educational visits will give you unique opportunitiess to forge networks and learn. 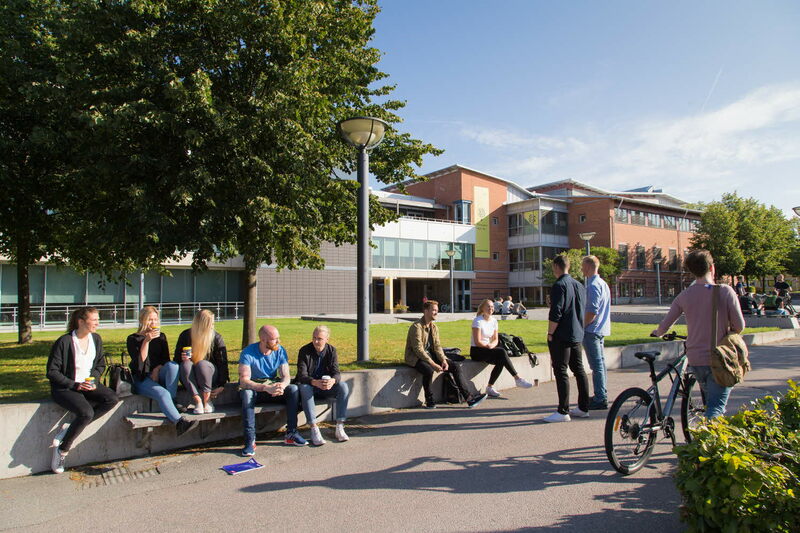 The study environment in Växjö is personable, safe and creative and you will work in close contact with our practising designers/ lecturers and researchers. The many different subjects offered at Linnaeus University give you the possibility to work across disciplines. 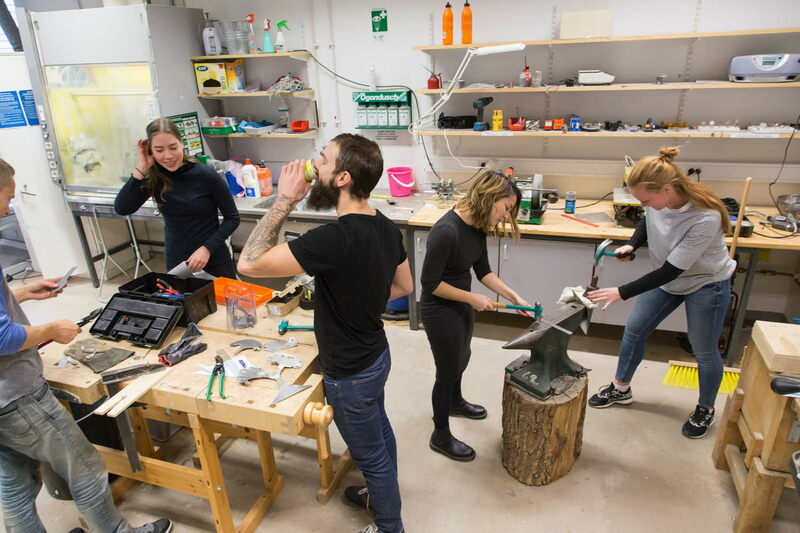 The Bachelor’s programmes in design at Linnaeus University received the grade of "high quality" in the most recent national evaluation of degree programmes within the arts. General entry requirements + English B. Approved portfolio. There is an increasing demand for competence in sustainability in society. The ability to collaborate with other disciplines is also becoming more important. This degree programme prepares you for a career within traditional design companies, as well as service design companies, NGOs (non-governmental organisations) human rights organisations and initiatives run by local communities or municipalities. You may also choose to start your own company. The application process consists of two steps. First you need to apply to the programme online at at www.universityadmissions.se (in English), or www.antagning.se (in Swedish). Then you need to submit your portfolio together with your other documentation regarding eligibility on your pages on www.universityadmissions.se (in English), or www.antagning.se (in Swedish). You find instructions for the portfolio below. Design an object, environment, campaign or system for another species. You can choose any species, such as a mammal, fish, insect or plant (e.g. a bat, an octopus, a bee, a particular variety of mushroom, etc.). Use this exercise as an opportunity to be creative! At the same time, you are also encouraged to think of how the design deals with issues of interaction, sustainability or the possibility of change of some kind (large or small scale) in the world. Visualise your idea (through for example drawings, photography, or a model) and write a short explanation (150-300 words) about your thoughts and choices. You can find examples of designers and artists working with such approaches on sites like the following: http://a-foray.tumblr.com/. Visit a public space and sketch the forms of movement and relations you encounter and perceive in that space. You're free to use any sketching methods at your disposal (sketching with pencil, paint, charcoal, digital tools, or whatever medium you prefer to sketch out your ideas with). We're not primarily looking for technical skill, but rather for your ability to use sketching methods to explore and engage with the world around you in creative and interesting ways. Use the remaining pages to present your own creative work. Show us any form of artistic expression/design that you are proud of and that represents how you like to work. We encourage you to choose work that demonstrates a wide range of your interests. Submit the assignments on your pages on www.universityadmissions.se (in English) or www.antagning.se (in Swedish). You can upload maximum 50 mb total. in PDF, PNG or JPG-formats. You can upload maximum 50 mb total. In the upload form, enter a brief description of the work you upload. What do you want to change through design? How do you want to use your education to reach your goals? Submit your letter of intentions on your pages on www.universityadmissions.se (in English) or www.antagning.se (in Swedish). You can upload maximum 50 mb total. in PDF, PNG or JPG-format. After submitting your application and portfolio you'll be contacted if you have been selected for interview. At the interview, we ask you to bring a hard copy of your portfolio. If you're an international or EU student who is unable to attend an interview in person, we may offer a telephone/online interview. Apply to the programme online at www.universityadmissions.se (in English), or www.antagning.se (in Swedish). Submissions of documentation attesting your eligibility for Bachelor´s level study must be submitted here. Please submit your application by 15 April 2019. Submit your portfolio to Linnaeus University (LNU), by uploading it on your pages on www.universityadmissions.se (in English), or www.antagning.se (in Swedish). The deadlines by which portfolios must be received by LNU are: 30 April 2019. The university will not disclose the reasons behind the decision to accept or reject any individual application. Approved students will be notified through www.universityadmissions.se or www.antagning.se. I have prepared my portfolio according to the guidelines provided. I have included my Statement of purpose with my portfolio. I have uploaded my portfolio on my pages on www.universityadmissions.se (in English), or www.antagning.se (in Swedish), made sure that all my files are included, and that I have submitted written descriptions of my uploaded files. We accept late applications after April 15, 2019, but those submitted in time will be prioritised. For those who apply by April 15th, the deadline to upload portfolio and personal letter is on April 30th. If you apply late, please send this material as soon as possible. Sofia Granefelt Laurén works as a service designer at Transformator Design in Stockholm. 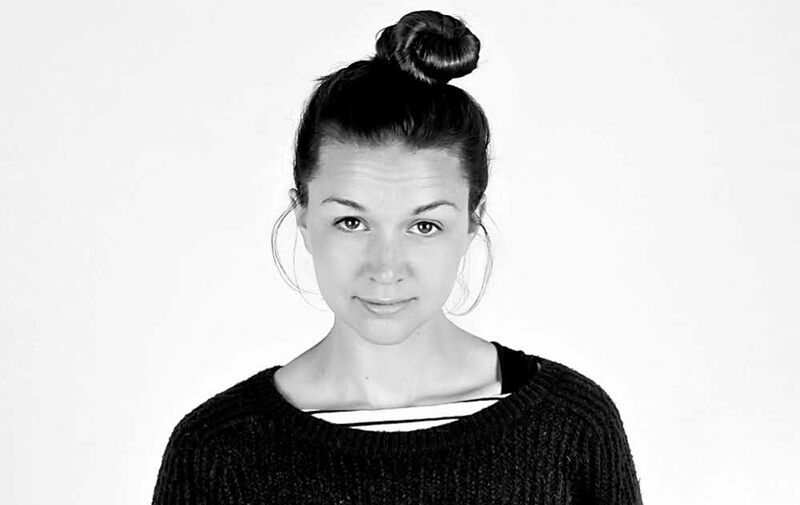 We asked Sofia some questions about how she ended up there and what she works with. I graduated in 2012, one year later than planned, since I took a year off to go to India. The experiences I gained from that trip made that extra year before graduation worthwhile. I think my year in India changed my attitude to my last year as a design student, so that I could make the most of my time there. Did you start working at Transformator directly after your graduation, and how did you end up there? It all started when I was introduced to Service Design in my last year in the design programme. I was immediately interested in its methods and what you can accomplish with them. I heard that Transformator Design definitely was the place to be if you wanted to learn more about Service Design. I applied for a trainee position right after graduation, when I moved to Stockholm, and I've been working at Transformator ever since. What's your title, and what do you do? My title is Service Designer. This means that I work with projects in which I try to understand the customer's/user's incentives, needs and experiences of the service, for example by observing and talking to the final users. Based on this understanding, we develop proposals and concepts in an iterative process together with the users and clients. What does an ordinary day at work look like? All days at Transformator are different, since we work with different clients, projects and challenges. Everyone at Transformator is emphatic, and we work in close-knit project teams where we discuss everything with each other to develop a better understanding and develop ideas. Is it an international workplace? What clients do you work with? Right now we only have an office in Stockholm, but we work with international clients, and we also have some plans on developing our business outside of Sweden. Many of the organisations we work with deliver services which most of us use every day. For example using your credit card to buy something, getting an overview of a store, applying for parental leave, getting an insurance, understanding your pension, riding the metro in Stockholm, etc. No matter what, we always try to improve the experience for the users of our services, and can confidently say that together with our clients we make society a better place by creating services our customers choose, love and recommend! What should students keep in mind to reach their goals after their education? I think it's important to define and try to formulate your goals and start to reflect on what it is that you want out of your programme. During my first two years in the Bachelor's programme I took all the opportunities I could to try out new things, find inspiration and learn from others. That meant that in my third year I could focus on my area of interest, develop my knowledge and start working on my portfolio. I think it's a good idea to prepare for "the next step" when you're still studying, and in that way form a clearer connection between your education and professional life. An iteration consists of interactions with customers, analyses and idea generation. The process is repeated to develop a deeper understanding of an issue. An issue is not solved until at least three iterations have been completed. Before that, all results are preliminary/indicative. In iteration 1, customers speak freely about a specific topic. 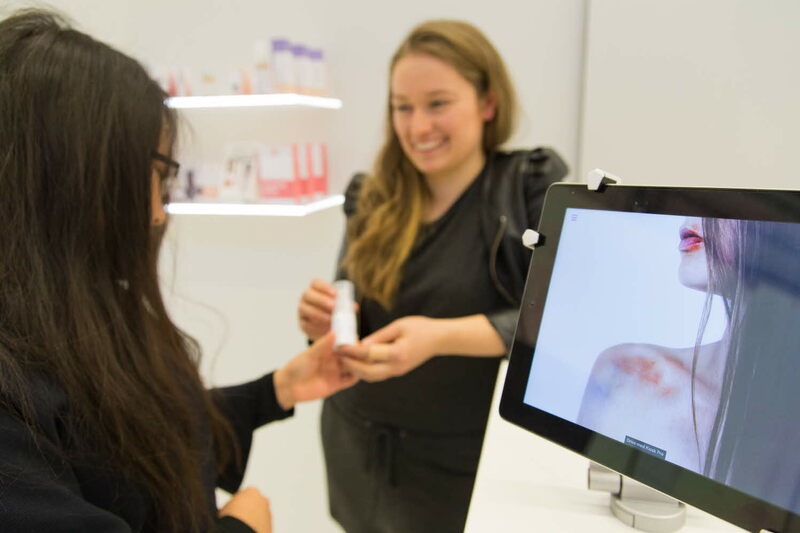 In iterations 2 and 3, customers have the opportunity to provide feedback on a material (prototype). Doesn't design already imply change? Yes, through design we give form to new products (and books, campaigns, services, systems and much more). Through these we also shape and change behaviour, attitudes and even worldviews. Today it is both formally and globally recognised that the state of both ecological and social systems is critical. We also know that human activities – and not least design, and its associated overconsumption – drive unsustainability. With + Change we want to emphasise the very potential of design to affect change and to extend it. Change comprises different degrees and perspectives on change, such as adaptation, evolution and revolution. To affect change through design can be about initiatives directed at products, systems or worldviews. We can choose to use design to affect change locally, regionally or globally, and with focus on ecology, economy, human health and equality, or all of this simultaneously. Altogether + Change is about purposefully using design, and its inherent creativity, in order to achieve changes towards futures of sustainability. Students from Design + Change programme participated in the Stockholm Furniture and Light Fair in 2017. The students presented Speculative design with the exhibition Lnu Lab. Why did we apply to Design + Change at Linnaeus University? Humans have caused the world to suffer by putting themselves above everything else existing on the planet. It's more than time to change this behaviour and work towards a better future. In this film we share our reasons for why we're here and what we're aspiring to achieve with this program, in an honest and insightful way as part of a class of more than 20 students in the very beginning of our education. Whether it's for our love for the environment, human sustainability or simply because we enjoy creating, we all have a good reason for being here. One semester has passed and we're more eager than ever to contribute to a more sustainable future wit h our designs. We're doing something new. Something important. Why+ Change: Made by1st year students from the program Design + Change in Växjö. Module 4 Moving Image. How do I apply for Design+Change? You apply to the programme online at www.universityadmissions.se (in English), or www.antagning.se (in Swedish). On those pages, you also submit your documentation of eligibility for university studies and English proficiency. Besides the online application, you need to submit your portfolio to Linnaeus University (LNU) in time. Please read the instructions regarding the portfolio carefully. I have questions regarding my eligibility for BA level studies? Please contact: admission@lnu.se. They are taking care of the admission process and can answer all questions regarding documentations and deadlines. Do I have to know Swedish to study a design programme at LNU? You don't have to know the Swedish language, but you have to show proof of your English language skills through for instance TOEFL or IELTS-tests. Your level of English needs to compare to a English B in the swedish education system. I will not be able to send all documents (like highschool diploma, result from English test...) before the deadline, may I apply anyway ? Yes, it will be possible to send documents at a later point. Please contact admission@lnu.se to get an exact deadline. Non EU/EEA students need to pay a fee of 130 000 SEK per term, which sums up to a total of 780 000 SEK for the whole program. For Swedish and other EU/EEA students the education is without charge. But cost for study trips and material apply. Are there any scholarships for international students ? When does the academic year start and end? The Academic year is divided into two terms. Our programs start only in the Autumn. The academic year at LNU starts in the end of August and the autumn term will end in the middle of January. The spring term will run from the middle of January to the beginning of June.